Traveling to Los Angeles? This is the proper spot on the net to locate places to swim in Los Angeles. Each day you will be not swimming you are losing precious time to enhance your abilities a be a much better swimmer! No a lot more excuses!. 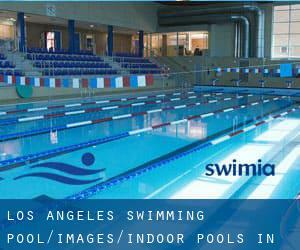 Please check the nearest Indoor Pools in Los Angeles or Contact us to ADD IT. It is no cost! These are the Pools other users have reported. Are you a local and your pool is not listed? Contact us to ADD IT. It is totally free! 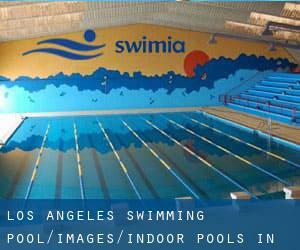 Looking for Indoor Pools in Los Angeles? Lots of of them belong to gyms or sport centers which also deliver lessons. Please contact the facilities to check which activities are offering and their timetables. Swimia.com wants your feedback to ensure all the information is valid, due to the fact maybe this pool is no longer open towards the public. Updated on 2019 1914 S. Bundy Dr. , West L.A. / Bundy , Los Angeles , CA , USA (Postal Code: 90025). Swimmers like you reported 20 meters, Indoors. Unfortunately we do not have the email address of this Swimming Pool, but we can provide you with the phone number. Updated on 2019 7630 Towne Ave. , Southeast L.A. , Los Angeles , CA , USA (Postal Code: 90003). This sports center provides 25 yards, Indoors. Contact information for this Swimming Pool like phone number and email address are number. Updated on 2019 1553 Schrader Blvd. , Hollywood , CA , USA (Postal Code: 90028). Among all the activities supplied by the center, if you are considering swimming you will delight in 20 yards x 40 feet, 6 lanes, Indoors. If you have to get in touch with this Pool, email address and phone number are both number. Updated on 2019 3560 Watts Way , USC , Los Angeles , CA , USA (Postal Code: 90089). This sports center offers 25 yards, 8 lanes, 4 feet - 10 feet depth, Indoors. For this Pool, only phone number is number here. Updated on 2019 9900 S. Vermont Ave. , South L.A. , Los Angeles , CA , USA (Postal Code: 90044). Among all the activities offered by the center, if you're considering swimming you can get pleasure from 25 yards, Indoors. Just in case you want to make contact with this Swimming Pool before dropping by, we only know the phone number. Updated on 2019 8015 S. Sepulveda Blvd. , Westchester , Los Angeles , CA , USA (Postal Code: 90045). Swimmers like you reported 25 yards x 30 feet, 5 lanes, Indoors. Unfortunately we do not have the e-mail address of this Swimming Pool, but we can give you the phone number. Updated on 2019 1628 El Centro Ave. off Grower , Hollywood , CA , USA (Postal Code: 90028). Swimmers like you reported 25 meters, 4 lanes, Indoors. Unfortunately we do not have the e-mail address of this Pool, but we can give you the phone number. Updated on 2019 6833 Park Terrace , Playa Vista / Marina del Rey , Los Angeles , CA , USA (Postal Code: 90045). Among all of the activities supplied by the center, when you are enthusiastic about swimming you will delight in 25 meters, Indoors. Just in case you want to contact this Swimming Pool before dropping by, we only know the phone number. Updated on 2019 1835 Sepulveda Blvd. , West L.A. , Los Angeles , CA , USA (Postal Code: 90025). Among all the activities provided by the center, in case you are interested in swimming you can expect to enjoy 25 meters, 8 lanes, Indoors. Just in case you want to contact this Swimming Pool prior to dropping by, we only know the phone number. Updated on 2019 545 South Figueroa Street , Downtown , Los Angeles , CA , USA (Postal Code: 90071). This sports center offers 20 yards, 3 lanes, Indoors. For this Pool, only phone number is number here. Updated on 2019 5870 W. Olympic Blvd. , Mid-Wilshire / Miracle Mile , Los Angeles , CA , USA (Postal Code: 90036). Swimmers like you reported 25 yards x 30 feet, 5 lanes, Indoors. Unfortunately we do not have the email address of this Swimming Pool, but we can give you the phone number. Updated on 2019 11311 La Grange Ave. , West L.A. / Sawtelle , Los Angeles , CA , USA (Postal Code: 90025). Swimmers like you reported 25 yards, 6 lanes, Indoors. Phone number and e-mail address are number for this Pool. Updated on 2019 401 S. Hope St. , Central L.A. / Downtown , Los Angeles , CA , USA (Postal Code: 90071). Swimmers like you reported 25 yards x 45 feet, 4 lanes, Indoors. Unfortunately we do not have the email address of this Pool, but we can give you the phone number. Updated on 2019 431 W. 7th St. , Central L.A. / Downtown , Los Angeles , CA , USA (Postal Code: 90014). Among all the activities offered by the center, for anyone who is thinking about swimming you are going to enjoy 25 yards, 5 lanes, Indoors. If you should get in touch with this Swimming Pool, email address and phone number are both number.